The Malaysian Medical Association (MMA) today called for more transparency in the health screening for foreign workers, saying any directive for the implementation of digital X-rays must come from the health ministry. 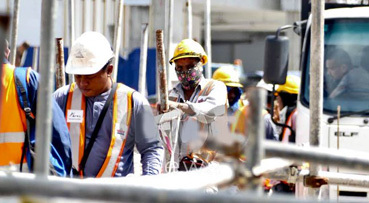 In a statement, it said there was currently a lack of transparency in the screening process for foreign workers, particularly in allocations for laboratory and chest X-ray facilities. Such services are currently provided by the Foreign Workers Medical Examination Monitoring Agency (Fomema), which MMA said was awarded the concession in 1997. It also noted that the concessionaire agreement, signed between the health ministry, Fomema and the Public Private Partnership Unit (Ukas) which was under the Prime Minister’s Department at the time, was renewed and signed in December 2016 and placed under the Official Secrets Act despite strong objections from MMA. “The concessionaire agreement involves medical screening by selected clinic providers, laboratories for blood and urine screening for communicable diseases and chest X-rays at X-ray facilities appointed by Fomema. “Furthermore, a sole company providing X-ray transmission and software was appointed by Fomema to provide the service. Unfortunately, there is a lack of transparency in the laboratory and chest X-ray facility allocations,” MMA president Dr Mohamed Namazie Ibrahim said in a statement. His remarks follow Fomema’s announcement earlier this month that all panel clinics and X-ray facilities must convert X-ray films to digital format beginning next year. Fomema president and CEO Mohd Hatar Ismail said the digital format, which was introduced in 2014 and supported by the health ministry, aimed to improve the quality and standard of health screening services offered to foreign workers in the country. Namazie said MMA welcomed the ministry’s efforts but warned that this would come at a cost to the providers. “The directive for the implementation of digital X-ray must come from the health ministry with an appropriate revision of fees to cover the additional cost of purchasing digital X-ray equipment and other administrative costs,” he said. He added that Fomema panel clinics had incurred more expenses to meet the new requirements from a third-party company appointed by Fomema in terms of software purchases from the company. He urged Fomema to open up the X-ray transmission to other vendors as well as competition could reduce the cost of providing the service. “The health ministry, as the principal signatory of the concessionaire agreement, has to step in to address the lack of transparency and solve problems faced by the general practitioners,” he added.